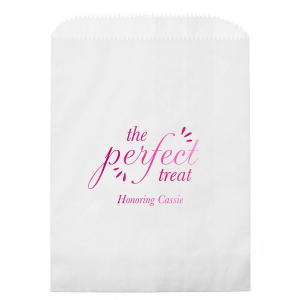 Give your wedding favors an extra layer of personalization with For Your Party’s personalized wedding party bags! 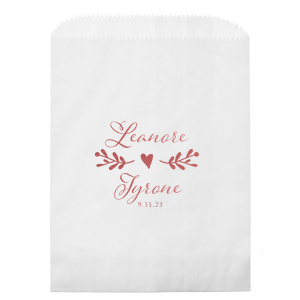 You can easily find a style below, create a design to complement your wedding theme in the FYP Customizer or upload your personal monogram or wedding graphic for complete personalization. 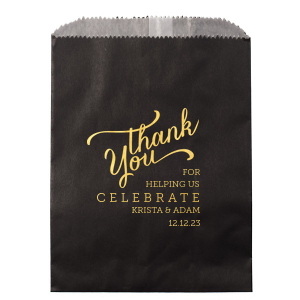 Use your custom designed wedding party bags to send your wedding favors off in personalized style! 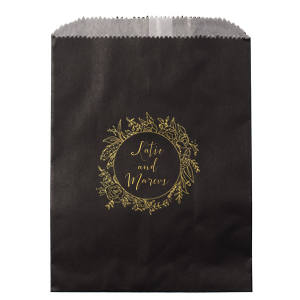 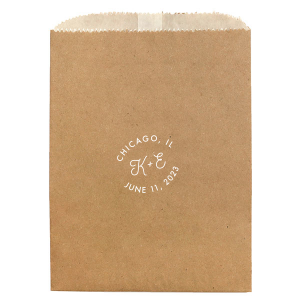 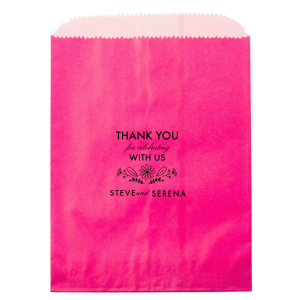 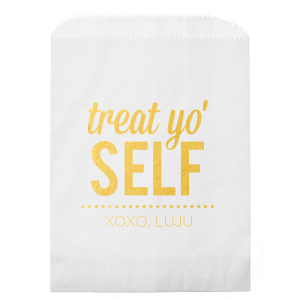 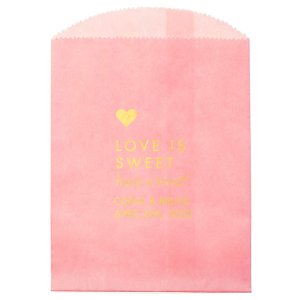 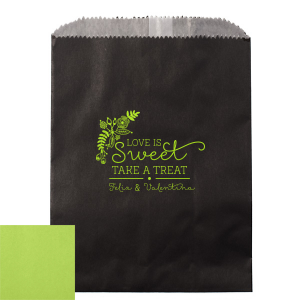 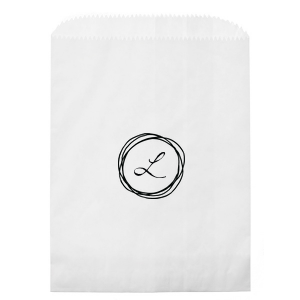 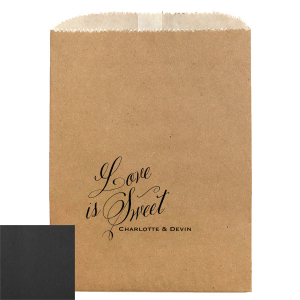 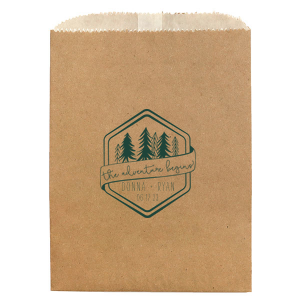 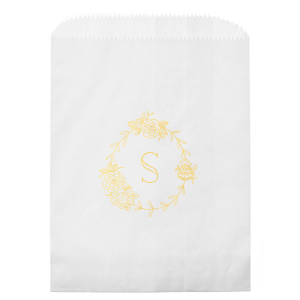 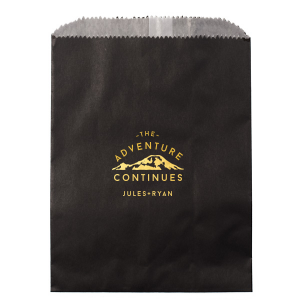 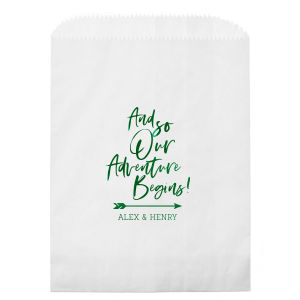 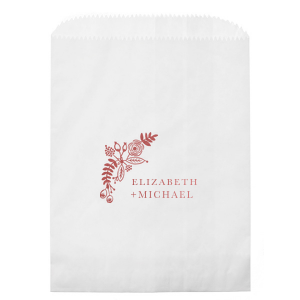 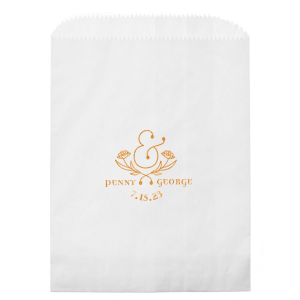 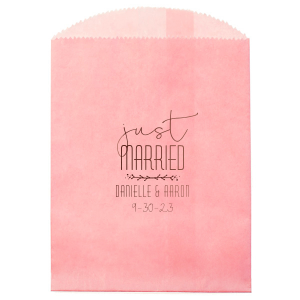 The perfect size for tasty baked goods or a scoop from your wedding candy buffet, these bags will provide that finishing touch of personalization to your wedding reception. 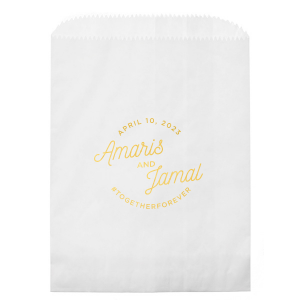 Use the FYP Customizer to choose the perfect wedding party bag color, foil stamped designs, or even upload your personalized monogram or wedding design. 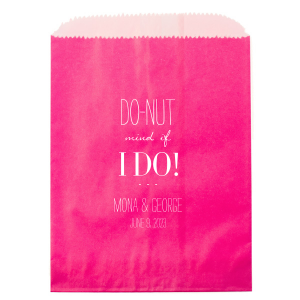 Use our endless options to create personalized wedding party bags to complement your elegant wedding theme or add clever phrases like “donut let this stop you from dancing” or “We Do (love cookies)” to give your guests another reason to smile as they leave your fabulous wedding reception.